Right now, esports are tapping into traditional sports clubs across Denmark. Nearly two million Danes are members of the 61 national federations that are a part of the Sports Confederation of Denmark. Football is the most popular sport with almost 350,000 members followed by golf and swimming. Gymnastics, handball, badminton, horseback riding, tennis and sailing are among other popular sports. Approximately 800,000 adult Danes and up to 90% of Danish children, play some sort of game on their preferred device. That number places gaming (esports) as the biggest sport – or let us say – activity, in Denmark. 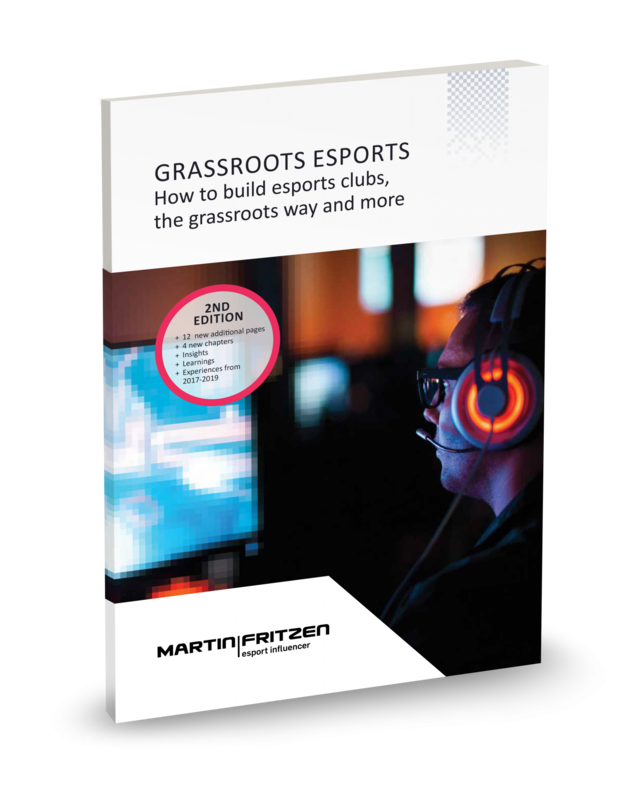 More and more of the traditional local sports clubs and associations are experimenting with starting up esports departments alongside their existing sports – and that makes sense! Denmark might be unique but I wanted to share a bit more on how Denmark is doing esports, the sports club way– perhaps it will help you in your city/country. Without volunteers, there would be no sports in Denmark. The structure of the national federations and grassroots sports clubs in Denmark is democratic. A general meeting is held every year and a president, board members, treasurer, etc. are elected or re-elected every second year. A group of volunteers run the club who appreciate and share openness and joint responsibility. Some of the elite clubs and teams have paid staff but the primary tasks in the local clubs are taken care of by volunteers. Sports leaders, coaches and helpers manage the daily duties such as mowing the grass on the football field, putting out the ropes in the swimming pool and gathering members of the club for training or social activities – the same goes for the clubs offering esports. We see volunteer team leaders, game tacticians, streamers, casters, coaches, event crews and managers all work hard voluntarily. But why? Sports, and esports, attract the kind of people who want to share their love of the sport with new people and generations. They can be sponsors, players, trainers, staff, and other volunteers but in the end they are involved so that kids across Denmark are able to enjoy esports training, boot camps and tournaments alike. Through the sport and community, kids will also develop as people and gamers. This will help the gamers earn the respect and recognition for their personal development and gaming skills. In Denmark a law called, “The Act on Youth and Adult Education” ensures municipal financial aid for leisure time and educational activities such as local sports. It is executed in the form of grants to sports activities and rent for indoor and outdoor facilities. Apart from the financial help from the municipalities the local clubs are funded through annual or bi-annual membership fees, which are usually quite low. Sponsors are also commonly used as a source of additional resources/funds. It is very easy to become member of one of the thousands of sports clubs in Denmark. Most clubs offer an introduction period for newcomers to get an idea of how the particular club works so members can become accustomed to the environment (before getting charged a membership fee). All clubs gladly welcome new members into their “family” at all times of the year. Whether it is to participate and play the sport or just to help out as a volunteer, all people are accepted on equal terms. A simple phone call to the president of the chosen club will provide more information, while you could also reach out to the national federation, who is able to assist finding a local club near you. Esports benefit from this mentality too. This means that you can visit your local club, have a chat and join their esports division. If the local club does not yet offer esports, you can do one of two things, 1) offer to start up the new esports division at your local sports club, or 2) find another sports club in the area that already offers esports activities. Participating in esports in the traditional sports clubs is smart because you start with a standing structure, an organization, a treasurer, a board, and a location – in essence you’ll have a “home” and a brand name – and maybe even a budget. There can be huge differences in competencies, experience and commitment among the volunteer coaches, trainers, leaders and managers within the esports club’s administration and management. Also finding funds, while possible, is always hard.